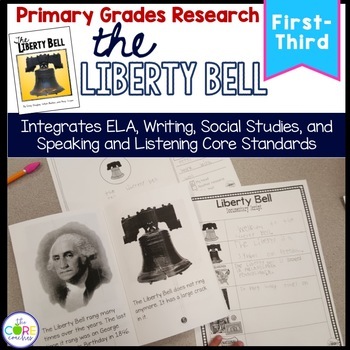 This mini-unit includes all you will need to close read about the Liberty Bell. It includes 4 levels of printable differentiated student text as well as a teacher text for modeling text coding. This mini-unit is designed to teach primary age students how to close read, take notes, and write about text. Lessons are project based. 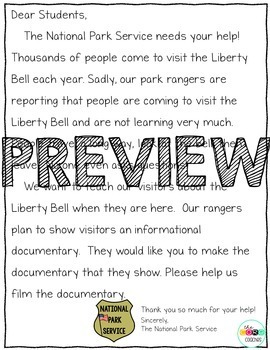 You begin by reading the students a letter from the National Park Service. Students are engaged as they help the park rangers create a documentary. 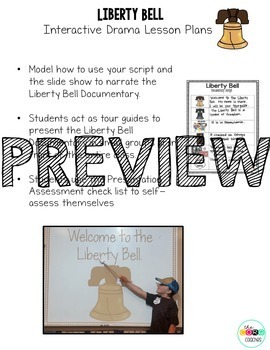 Students use their new knowledge from the close read and note taking to write a script and film a documentary. Students practice speaking and listening skills. The mini-unit consists of a 3 part close reading lesson, interactive drama, writing activity, and an optional art project. You can also purchase our American Symbols Pack which includes 4 different American Symbols at a discounted price. Do you find yourself asking, “What is Close Reading?” Visit the Core Coaches blog post to find out more!